Sounding Out! is a weekly online publication, a networked academic archive, and a dynamic group platform bringing together sound studies scholars, sound artists and professionals, and readers interested in the cultural politics of sound and listening. Every Monday, their writers offer well-researched, well-written, and accessible interventions in sound studies, directing the field’s energy toward the social, cultural, and political aspects of sound and listening, particularly their differential construction of and material impacts on variously positioned bodies. How does listening impact the production of social difference? And vice versa? What is the relationship between sound and power? What is the role of sound and listening in everyday life, particularly in regards to identity construction and performance? How do we understand the cultural histories of various sound media—the phonograph, the radio, the tape recorder, the telephone, the digital recorder and its various playback systems—in relationship to power and the production of social difference? As a scholarly publication, Sounding Out! is peer-reviewed, but following an open, developmental model fostered by digital humanities, in which editors and advisors are known to their writers, and provide several rounds of feedback, commentary, and collaboration before publication. The editorial collective invites contributions via themed calls-for-posts as well as on more general topics related to their research mission. Sounding Out invites work that uses sound as more than an object of study, but also as a medium of argumentation, experience, provocation, and communication. Note: All pieces for Sounding Out! are stringently peer reviewed by the Editor-in-Chief and the Editorial Collective. They go through several draft stages before publication. For full details on our editorial process, click here. For submission instructions click here. 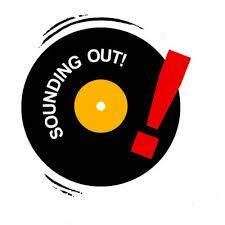 To read more about the editorial mission of Sounding Out!’s podcast, click here.